Over 240 million people currently live in countries other than the ones in which they were born, and over 60 million are forcibly displaced. Migration, its reasons and consequences, is one of the most serious issues humanity is facing in the XXI century. Each country deals with migrants on an ad hoc basis. This can arguably be said for refugees as well, with the great exception of the 1951 Convention on Refugees that clearly outlines rights under international law. The convention’s principle of “non-refoulement”, which guarantees that individuals cannot be returned “in any manner whatsoever” to places where their life or freedom is threatened, is however, hanging by a thread, given the number of refugees now detained or redirected to third countries. The Mirpuri Foundation has established a “Migrants Observatory” which provides timely analysis on migration and related common problems such as exploitation, racism and xenophobia, loss of lives en route, as well as border procedures that not always follow due process and are not in line with international law. Analysis and reports will be made available on this site, when they become accessible. The reports are intended to provoke reflection and stimulate debate. The goal is to inspire politicians and other decision makers to more proactively engage with the issue rather than side-step their obligations. After all, migration related issues are typically thought of as a responsibility of governments. And to make a lasting impact, decision-makers, practitioners, scholars and journalists should engage in responsible and data-driven reflection and action. 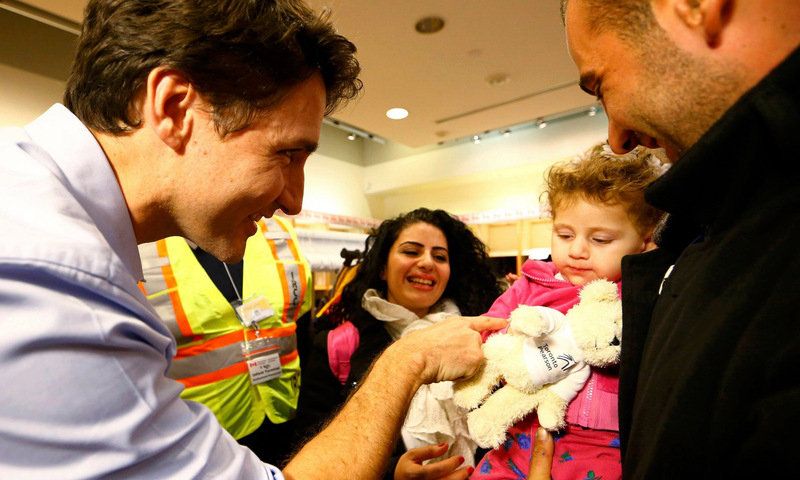 As millions of Syrians continue to be displaced due to conflict in their home country, the Government of Canada is working with Canadians, including private sponsors, non-governmental organizations and provincial, territorial, and municipal governments to welcome Syrian refugees. In 2016, the Mirpuri Foundation sponsored the transportation of approximately 3.000 Syrian refugees to Canada, through its affiliate airline Hi Fly, also owned by the Mirpuri Family. The experience of transitioning to life in Canada is different for every newcomer. Many of the recently resettled Syrian refugees are adjusting, as well as historical refugee groups, and their integration is as expected. Some are already giving back to the communities that have welcomed them. But all refugees need support and time to become accustomed to their new communities and adapt to a whole new life in Canada. There are many players involved in helping newcomers, including refugees, adapt to life in Canada. Supportive social networks and service provider organizations are essential to their integration. Through these networks and organizations, individuals can get information, find housing and jobs, improve their language skills, foster civic involvement, gain critical cultural knowledge and receive emotional and other support. Some will adapt to Canada quickly, but the reality is that others will take longer and require ongoing support and success to settlement programs, which are critical to ensuring long-term success. All refugees, whether privately or government sponsored, have access to settlement services until they become Canadian citizens. Canadians have been helping and continue to do so by welcoming refugees to their communities and volunteering with local service provider organizations.